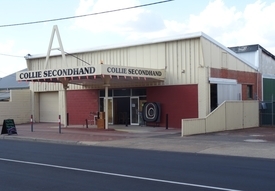 32 Commercial Real Estate & Properties in Collie are listed in 8 categories. We have 13 Retail ShopsSale , 6 Development LandsSale , 4 OfficesSale , 4 Industrial Warehouses Sale , 2 Hotels and LeisureSale and 1 Medical and Consulting PropertiesSale . 217m2 of shop on a 266m2 block located between Forest Street and entry to Woolworths this opportunity comes around seldom. Currently tenanted at approx' 6.2% return on listing price this would make a great investment for somebody with an eye for future occupation and or future development. Main entry is from Forrest Street with rear access opening onto the ally way that is entrance to Woolworth so the foot traffic is plentiful all day. Fully tenanted commercial share title is listed for sale for the first time in 30 odd years. Comprising of 2 individual shops, Restaurant Local Member with common area to rear including ablutions. The offer to purchase is 44% of the title with a return of approx' 8.4%% on listing price. Long term stable tenants with signed leases in place. 44% of Title Commercial Retail Lease Stable Tenants Approx' 8.4% return Main CBD street frontage. 150m2 facing main road through town, opposite busy service station and next to Chemist. Grease Trap, cool room and canopy. 3 x 1 House to rear on same title, new ceilings through out whole house, court yard with gas BBQ, secure parking in lock up garage. Located in the entertainment and food precinct of town are three adjoining commercial properties with main street frontage. 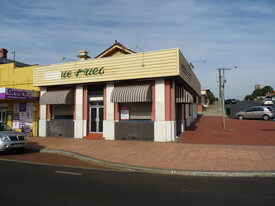 The property includes 2 stablished restaurants and a vacant commercial block. 99 Throssell Street is earning $1410.49 per month and 103 Throssell Street is rented at $1343.33 per month. Both shops have options to extend their leases until 2024. The vacant land is between the 2 shops and has a concrete pad of approx. 50m, ideal to establish an alfresco area. This is a sound investment with tenants paying the outgoings. Both restaurants are equipped with grease traps, reverse cycle air conditioning, stainless steel canopies with extractors, cool rooms, gas and 3 phase power. They are fully fenced and gated and the premises at 103 was re roofed in 2015. Purchase options include: Purchase the entire complex for $385,000 or One shop and the vacant land for $220,000 or One shop only for $175,000. 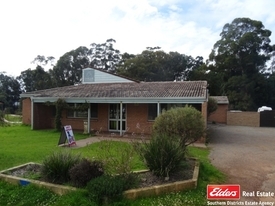 Purpose built Veterinary hospital located on Collie River, 2 x consult rooms, laboratory theatre treatment isolation rooms. Building has approval from Radiological Council of WA for X Ray machine use onsite. Veterinary Surgeon's Board approval to be used as Hospital. Onsite parking, in house animal overnight stay pens, outside secure yards pens, crush with concrete hardstand. Also back to base' security system fitted throughout the building. Property is located approx' 200 kilometres South West Perth and 56 kilometres East of Bunbury. Collie has WA Government Super Town' designation with approx' $13 million town upgrades near completion and major road upgrades on Coalfields Road. Child care facility in town centre with 5 year x 5 year lease with portion of land leased to nursery on 5 year x 5 year lease. Returning approx' 5.3% on listing price. This freehold property is an opportunity for professional to buy a blank canvas and fit out as required. Suited to any variety of business or investor the main office space is one open area of approx' 80m2. Remaining space consist of kitchen area, two toilets with one being disabled. Outside there is two court yards, one yard being 17m2. Owner will install floor coverings (agreed style carpet, tiles or timber) as part of purchase price. Owner is GST registered and the margin scheme' will apply to the sale. Vendor Wants Sold. 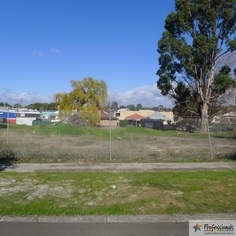 Prime 2300 sqm Inner City Commercial/Residential corner site. Would suit; owner occupier, investor or developer. Potential for double rental income Take advantage of high traffic exposure location, as most LIA businesses drive past to and from town centre. Exceptional opportunity to purchase or lease large w/shop, showroom on corner block. Buildings include office, showrooms, 3 bays, one with high roof, 3 phase power to large w/shop. Owner will separate for sale or lease. 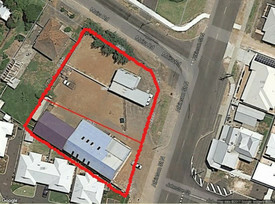 This quality block located centrally on Medic Street of approx 1012m2 is zoned mixed use and located in Collie CBD. Within walking distance of Bowling and Football club and all town amenities this ticks boxes for investors and developers. If youre after a location that may suit you in later years this is it. Please call Darren Pike 0488 429 117 or Clint Swallow 0412 034 726. This quality block located on Medic Street, sharing the boundary of the Catholic Church of approx 1011m2 is zoned mixed use and located in Collie CBD. Within walking distance of Bowling and Football club and all town amenities this ticks boxes for investors and developers. Please call Darren Pike 0488 429 117 or Clint Swallow 0412 034 726. 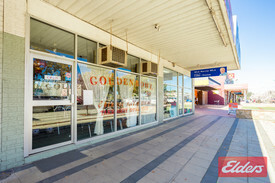 This fantastic corner location of approx 1012m2 is zoned mixed use and located in Collie CBD. Within walking distance of Bowling and Football club and all town amenities this ticks boxes for investors and developers. If youre after a location that may suit you in later years this is it. Please call Darren Pike 0488 429 117 or Clint Swallow 0412 034 726. Newly priced freehold investment. 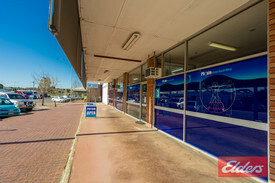 Established town centre location with excellent exposure of Collie CBD. Suit operators, Investors, SMSF or Syndicate. 7 shops with current 4 tenancy returning approx' 8.5% net profit. Recent renovations to shops in Forrest Street along with major upgrades to whole of Forrest Street add to appeal of this superb property. Tenant mix; Fairfax Media, Auto Parts Shop, Indian Restaurant/Café, Bedding Furniture Store. Property is located approx' 200 kilometres South West Perth and 56 kilometres East of Bunbury. 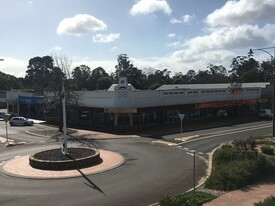 Collie has WA Government Super Town' designation with approx' $13 million town upgrades near completion and major road upgrades on Coalfields Road. Freehold property with Deli and 3 x 1 house corner location zoned Town Centre. Take this opportunity to own a property that has the potential for you to run a business and live onsite. Alternatively use the Deli section as games/theatre room. Walk to town CBD and some major sporting venues, football, bowels, tennis and trotting/show grounds. Take vacant possession or an astute investor could buy to lease out to re establish the small business/deli. Please call Darren Pike 0488 429 117. This one property offers a little more than your average investment The Banksia Lodge is situated on Collies main thoroughfare making it a high profile location suited to its current purpose, or for modest investment and council approval could be converted to high profile offices, or office and residence  given the flexibility of its mixed use zoning. The lodge has 8 rooms, a sizeable 1012m2 block, communal lounge, kitchen and bathrooms and enjoys strong serviced rents in excess of $700 pw and has excellent occupancy over last 12 months. Whilst its a wealth builder, this property offers an investor the opportunity to generate an income and also benefit from weekend/holiday waterskiing and 4WD getaways at any of Collies highly regarded waterski or 4WD destinations. Its been priced to sell, and wont last long! Please call Darren Pike for more information on 0488 429 117. Two story property of unique charm and character, one that will sooth the soul while offering the opportunity to earn an income and/or residence for an extended family. This Bed Breakfast located in the town centre, consists of 5 bedrooms and 2.5 bathrooms upstairs and a two room self contained unit downstairs and three commercial shops (all tenanted). Balcony overlooks the local Soldiers Park and Collie River with BBQ creating ideal place to relax and unwind while taking in the gorgeous surrounds. Main bathroom contains magnificent full size claw foot bath to relax and wash away the days stress. This is a special opportunity to purchase a lifestyle changing freehold property. Please call Darren Pike on 0488 429 117. Get In Before The Super Town Boom Reduced to $300,000 gst i.. REDUCED 2785 COLLINS STREET REDUCED This is a high quality industrial property with impressive office block and a large shed (approx 400m2 under roof). Both constructed in the early 2000's all on a 2000m2+ block that has bitumen hardstand. The office block is steel framed with fibro cement and colour bond cladding and accommodates a reception area, administration room, offices, lunch room and both male and female amenities. Extra storage for archiving files is available. An undercover amenities area for staff is located at the rear of the building. Shed is quality built with quality concrete flooring, 4 metre high door access. This presents as one of Collies best light industrial properties, and with markets predicting significant increase in industrial activity this is your chance to secure a quality property ready for occupation/rent. $300,000.00 GST inclusive previously $399,000. 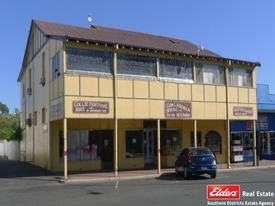 Opportunity exists to buy this iconic building in town centre zoned mixed use, locally known as Collie Bargain Barn. Unique building with 3 x 1 F/F apartment, gymnasium and retail/ commercial spaces. Live in the apartment and rent the spaces or lease the whole building. Please call Darren Pike 0488 429 117. 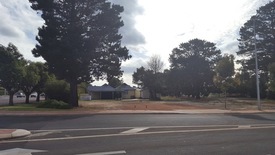 Stand out opportunity to invest in one of the few remaining vacant CBD sites in Collie. 4 titles totalling 3850m2. Positioned on prominent corner location with 3 major businesses on opposite corners. This site offers a wide variety of retail and or commercial development options. Please call Darren Pike 0488 429 117 or Clint Swallow 0412 034 726. 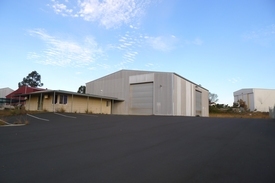 Industrial/Warehouse.Currently leased industrial shed at 8.01% net return. Tenant is an International public listed company that provides flow management and heat solutions to the local major industry of Collie. Premises is a purpose built industrial shed comprising 650 square meters floor space with overhead crane addition, includes large office space, is fully air conditioned and has fully sealed yard on 2000 m2 lot. Priced at $1,100,000. Contact Mark Bateman 0428 342 441 or Clint Swallow 0412 034 726.DOT POINTS: Excellent return on investment. International Tenant. 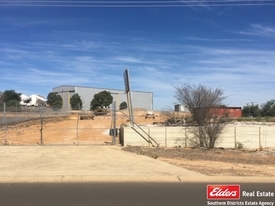  Stand out location in Collie LIA. 2000m2 of land. Car parking included in premises.